The cleanest and one of the prettiest regions of India, Sikkim boasts of a magnificent landscape. It is home to vast lakes, hot springs, mountain peaks, and many glaciers, making it a perfect destination for trekkers and adventure seekers. 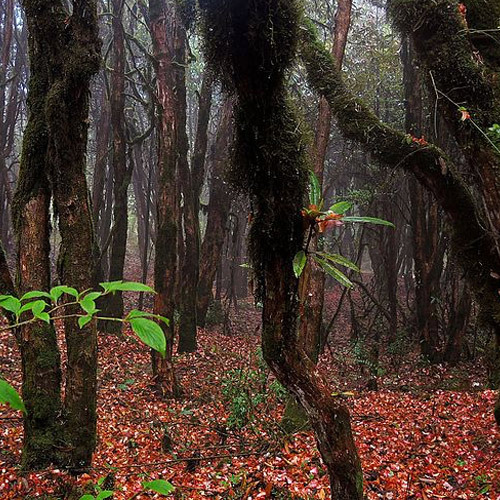 Trekking in Sikkim takes you through a diverse range of flora and fauna as well. After enjoying some of the main cities of Sikkim such as Gangtok, once you start trekking in Sikkim, you’ll see a fantastic contrast. Although the treks here are quite challenging, maneuvering through the tough terrain will feel worthwhile once you reach any summit. 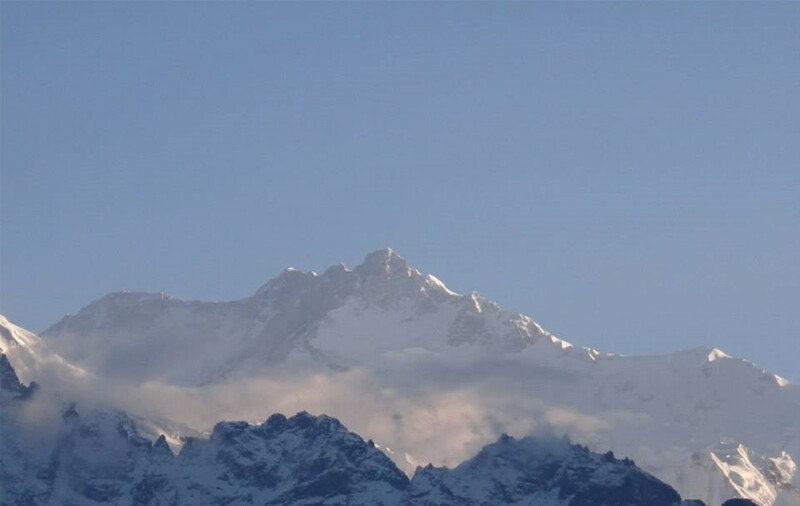 Some of the popular destinations while trekking in Sikkim include Goechala Trek, Dzongri and Goecha La, a snow trek to Goecha La, and the Barsey Rhododendron Trek. This trek will take you through lush forests of ancient oak and rhodendron trees, across fragrant alpine meadows with great open views, and to the hill station of Darjeeling. While on the Goechala trek trail, you’ll also see the world-famous Kanchenjunga Peak, and see village life at Tsokha, a Tibetan settlement. 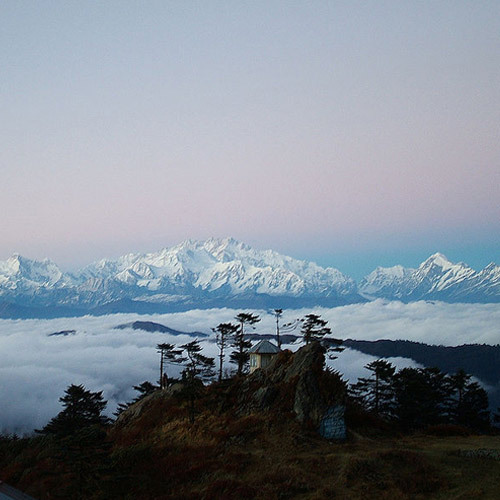 You’ll climb to an elevation of at least 16,000 feet, and get views of the Kanchenjunga. To experience the local life as authentically as possible, you can stay in log huts while trekking through Sikkim. A ten-day Goecha La trek will give you views of Sikkim like never before. You will traverse through lush sub-tropical jungles with ferns and orchids, making your Sikkim trekking experience like no other. Trekking in Sikkim is surely unique, especially during the winter season, mainly due to its landscape, people, and culture. A mix of treacherous and easy stretches sprinkled with rewards, this Sikkim trek can be quite challenging. Camp in the meadows of Dzongri, Lake Samiti, and witness the snow-clad Kanchenjunga mountain range. 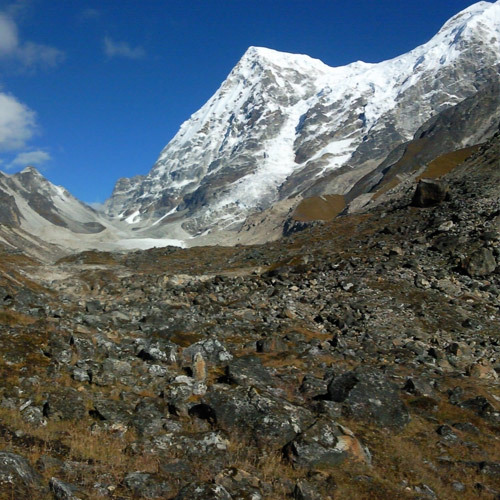 This Sikkim trek is a relatively easy one, perfect for trekking newbies and nature lovers. Set among blooming rhododendrons and the grand panoramas of the Khangchendzonga range, this is one of the more colorful treks of the region. If you’re a nature-lover, you’ll love the different varieties of rhododendron species, as well as the birds and insects you’ll spot. The best season to visit Sikkim is March to mid-May, or in the Sep-Nov months. During summer, the flowers are in full bloom, and the trails are covered with crimson blossoms from the rhododendron trees. While the weather is cool, you’ll have pleasant sunny days to enjoy. From September onwards, the weather becomes cold, but there is excellent visibility, so your views will improve.